The best way to protect your investment in your home is to fix problems before they grow. Yes, that means that you might have to put off other purchases. You might be dreaming about a new car, and taking advantage of several deals in the marketplace right now. But the reality is that you have to start looking deeper into any and all problems that are in your home. Your foundation, for example, could be problematic without you even realizing it. 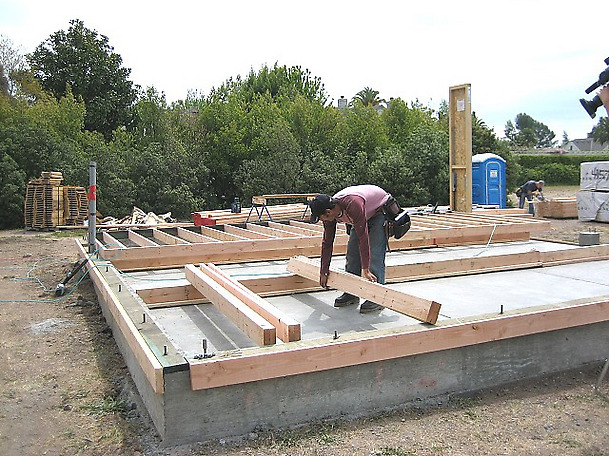 Like the name implies, foundation is necessary for your home to continue taking care of you. A bad foundation weakens the entire structure of your home. There are plenty of signs indoors that will help you identify what’s going on in your home. For example, have you noticed a door that seems to never shut properly? You might have tried to oil the hinges to push it in a bit better, or you’ve gotten used to just slamming it shut. But this is one of the biggest warning flags that all might not be right with your foundation. Some people might tell you that you’re overreacting about your home, and it’s nothing to worry too much about. They’re half right, so to speak: houses do indeed settle and shift a bit over time. You’re not going to have a perfectly even house for very long, so worrying about every little thing is a bit much. But this isn’t a little thing: it’s something that can weaken your entire home. If you end up filing a home insurance claim over structural problems, your insurance company may not pay out until they feel satisfied that it wasn’t caused by your negligence. Another thing to notice would be any cracks that pop up around doorways and at the junction between the wall and the ceiling. Cracks around windows can also reveal foundation problems with a home. If you have problems with closing windows, this could also reveal problems with the home. But even after you’re finished examining your home’s interior, it’s time to check out the home’s exterior. You need to look around the perimeter and see if there’s any chipped concrete. If you do see signs of concrete damage, it’s a sign that the concrete has shifted. Unfortunately, there are homes that have foundation composed of concrete with a mix of extra-salty sand, or made with too much water. This causes the foundation to soften when it needs to be as hard as possible. You will need to get a new foundation if you’ve found that your foundation has this critical weakness. You need to also look in the crawl space, or in the basement. The concrete supports should be firmly planted, rather than sliding around. If you see wet framing, you have a rot problem that must be taken care of right away. We know that all of these repairs may be problematic, but it’s better than your house collapsing due to a weak structure. If you have to make major foundation repairs, that’s going to be extremely expensive. If you can catch it early, it’s not only a DIY project, but one’s that is very reasonable.